In 2006 Berkeley voters overwhelmingly approved Measure G to reduce our community’s greenhouse gas emissions by 80% below year 2000 levels by the year 2050. That led to the creation of the Climate Action Plan in 2009, making Berkeley one of the first cities to adopt such a vision. This June, the East Bay Community Energy will replace PG&E as the default electricity provider for the county. I serve on the EBCE Board of Directors and we are working hard to launch this lower cost, green alternative. EBCE started through the efforts of environmental groups including the Sierra Club and Berkeley’s Ecology Center, and clean energy and climate activists. The benefits of EBCE are multiple: power at rates lower than PG&E from more renewable sources, as well as opportunities to invest in local development of renewable sources and create local jobs. As part of the June launch, commercial, industrial and municipal accounts will be automatically enrolled in the Bright Choice service, powered by at least 38% renewable energy and an additional minimum of 47% carbon-free energy. Customers will also have a choice of receiving the Brilliant 100 service, offering 100% carbon-free power, for a slightly higher fee. And because there are no shareholders expecting dividends, revenue can be reinvested in the community and rates kept low. EBCE will launch its residential accounts at the end of the year. On April 24, the City Council will discuss a new ordinance to reduce the number of single use plates, cups, containers and cutlery for both in-restaurant dining and take out. Food and beverage packaging makes up the majority of street litter in the Bay Area, and much of it ends up in our waterways, clogging up storm drains and rivers. Globally, 8 million metric tons of plastic ends up in oceans each year, so while convenient, disposable foodware and packaging is a huge problem. This groundbreaking ordinance can significantly reduce waste in our Bay and landfills and further Berkeley’s Climate Action goals. Last year, the city approved a new Bike Plan, a comprehensive approach that will add even more dedicated bike lanes throughout our city and improve existing infrastructure. And last summer, Berkeley launched the Ford GoBike share service, which will put hundreds of new bikes on our streets. We are also looking into adding more bike share programs to give residents a choice. City of Berkeley is serious about creating alternatives to cars and over the past five years we have completed $38 million of walking, biking, transit improvement projects. We also have 1,150 electric vehicles registered to Berkeley addresses and have brought in $100,000 in Electric Vehicle Charging grants that will allow us to build more than a dozen city-wide EV ports. My office also recently formed a Vision 2050 Task Force, which is developing a long term infrastructure plan to create a Berkeley that is resilient and sustainable for future generations -- from our roadways to our water pipes and electric charging stations. We have many visionary thinkers in our community and many of them are already engaged in designing a city that can not only withstand but thrive despite increased likelihood of wildfires, a large earthquake and sea level rise. Click here to learn more about the city’s climate action goals and Vision 2050. We are doing this work against a backdrop of national policies such as the recent roll back of vehicle emission standards by the EPA that are undoing years of work to protect our planet’s health. It is discouraging, to say the least, to have a President who is a climate change denier, who pulled the U.S. out of the Paris Climate Accords and who consistently acts to put industry interests before the environment. No matter what happens in Washington, D.C., Berkeley is forging ahead with its vision for a more sustainable city: adding solar to city buildings, requiring solar for new large residential construction, establishing policies to require zero net energy buildings, expanding bike infrastructure, expanding access to community gardens and urban farming to promote food security, and advancing our zero waste goals. Happy Earth Day and please join me this Saturday at the “Meetup with the Mayor” at Westbrae Biergarten, 1280 Gilman Street from 3-5 p.m.
On Thursday, March 15, Councilmember Linda Maio, BART Director Rebecca Saltzman and I hosted a packed town hall meeting to discuss the suitability of the North Berkeley BART Parking Lot as a site for housing. Many in attendance spoke passionately about how Bay Area’s affordable housing crisis has impacted them and their families, and most were in agreement that new housing is badly needed at the site. Many also agreed that building housing near BART makes sense as we work to reduce congestion on our roads and create more pedestrian-oriented development that includes housing, shops and other amenities for the neighborhood. To be clear, there is currently no development proposal for the site. But if something is built at the location, rest assured that it will not be a high rise, which would be incompatible with the character of the neighborhood, and is also not technically feasible. And whatever development happens at the site, it must offer an adequate number of affordable units so that our young people, working families and people of color all have a chance to remain in Berkeley. In the coming months, the city will be working with BART on a community process that will include more meetings and neighbor input. Stay tuned! Artist rendering of the proposed Berkeley Way development. The City of Berkeley is working in partnership with BRIDGE Housing and Berkeley Food and Housing Project on an exciting new affordable housing project on the Berkeley Way parking lot. The Berkeley Way project will create 142 units of permanent supportive housing for the homeless, beds for veterans, affordable workforce housing and emergency shelter. This is the city’s largest investment in housing for the homeless. The project would also include single level of subterranean parking consisting of some 200 public parking spaces. On March 13th, the City Council voted to reaffirm its commitment to make this development a top priority, to expedite the permit process, and seek state Affordable Housing and Sustainable Communities funding (cap and trade) and explore additional city funding opportunities to make this project a reality. On March 27th, the City Council awarded a 13-month contact to Bay Area Community Services (BACS) to operate the STAIR Center at Second Street between Cedar and Virginia Streets. The STAIR Center will be a new low-barrier, service rich shelter. It will be open 24 hours a day and provide longer term stays for shelter clients (up to 5 months) while housing, mental health, employment and other services are delivered. BACS was selected as the operator based on its exceptional track record engaging in homeless outreach and providing shelter and housing navigation in the East Bay. BACS will not only operate the new STAIR Center, but will provide housing navigation for clients, and engage in outreach to homeless encampments throughout the City. With the selection of our shelter operators, the Pathways Project is moving forward, with the facility opening this June. The City is still seeking the support of residents and businesses to launch this exciting initiative. If you would like to donate please visit contact our office at 510-981-7102. Nine years ago, five-year-old Zachary Cruz was killed when he was struck by a car while crossing a Berkeley street. The tragedy spurred the city and pedestrian safety advocates to push for better street design and increased enforcement of traffic laws. At its March 27th meeting, the Council adopted a resolution in support of a Vision Zero campaign, an initiative to eliminate all traffic-related fatalities by 2028. The initiative will do this through improved roadway design and policy strategies, together with enhanced education and enforcement strategies. Every year, approximately three people are killed and 31 people are severely injured in traffic collisions on Berkeley streets. Pedestrians and bicyclists are involved in only 7% of overall crashes but represent roughly one-third of all traffic fatalities. High vehicle speeds, violation of “Pedestrian Right of Way”, and alcohol/drug intoxication are the primary cause of severe and fatal collisions. 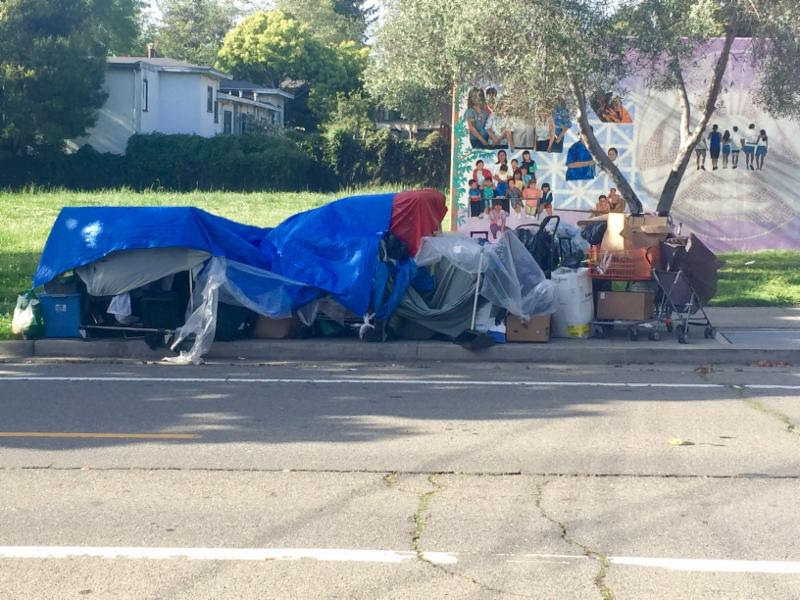 On Thursday, April 26, the City Council will hold a special meeting to discuss proposed regulations for objects on sidewalks along with a city policy on encampments. This is a critical issue in our community and we want to hear from residents, businesses, property owners and nonprofits and the homeless about the impact of these issues. ﻿The meeting will be held at the Longfellow Middle School Auditorium, 1500 Derby Street at 6 p.m. The agenda and draft policies will be posted on the city’s website this Thursday, April 18th. If you are not able to attend the meeting and want to comment on the policy, email the Mayor and Council at council@cityofberkeley.info. If you’re curious about what is happening at the City Council, but don’t have time to attend or watch an entire meeting, check out a new YouTube channel created by Berkeley resident Dave Margulius. Margulius spent some 300 hours combing through dozens of meetings going back to January 2017 to make standalone video clips users can search subject, something not possible on the city site. Users can search for specific subjects and even make Netflix-style queues of what they want to see. Read more about the motivation behind Margulius’s project here. Wednesday, April 18 at 6pm: “In the Tradition of Cesar Chavez and Dolores Huerta: Standing Up for the Vulnerable in the Age of Trump,” a talk by UC Berkeley professor and former Clinton White House staffer Maria Echaveste about how the United Farm Workers’ struggle has informed current Latino organizing, including the fight for $15/hour, a plan to protect Dreamers and educating and protecting the community in light of increased raids. The talk will be held at the West branch of the Berkeley Public Library, located at 1125 University Ave.
Saturday, April 28 at 2pm: Screening of “Dolores,” PBS documentary about famed labor organizer and co-founder of United Farm Workers Dolores Huerta. Wonderful film about Huerta’s life and activism. Directed by Peter Bratt. At Main Library, in the Community Meeting Room. Saturday, April 21, 3-5 p.m. Please join me Saturday, April 21 at the Westbrae Biertgarten for a “Meetup With the Mayor.” This is a chance to learn about ongoing city initiatives, ask about a specific issue in your neighborhood or Berkeley, and provide feedback on how our administration is doing. On April 24, the Berkeley City Council will proclaim May 1, 2018 “Break Up With Your Bank Day" as a way to encourage residents to move their money to socially and environmentally responsible banks. The goal is to spur Berkeley residents to stop doing business with banks that engage in fraudulent practices and that invest in things like fossil fuel infrastructure, pipelines, gun manufacturing, private prisons, and big tobacco. This effort extends the critical groundwork to shift the City’s banking business to community banks and credit unions that invest in Bay Area businesses and that better reflect Berkeley’s values of social, economic and environmental justice.